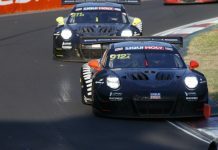 After winning the 12 hours of Bathurst (Australia) in 2011 and 2012, Phoenix Racing will be fighting for their third victory in the famous race on 8th February with a slightly changed driver line-up. 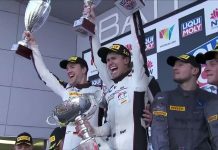 Due to his new LMP1 commitments, Phoenix will no longer have the services of Audi factory driver René Rast and so Laurens Vanthoor switches within the team to drive alongside Markus Winkelhock and Marco Mapelli in the black #15 Audi R8 LMS ultra. 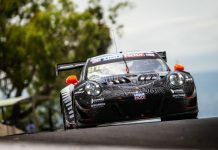 The free slot in the number #16 sister car of Red Bull athlete Felix Baumgartner and Christopher Haase is taken by Bathurst newcomer Stéphane Ortelli. In keeping with Phoenix’s history of groundbreaking liveries, the familiar yellow kangaroo traffic sign emblazoned on the #15 car’s bodywork will be joined by native Australian animals on the bonnet and a koala on the rear. 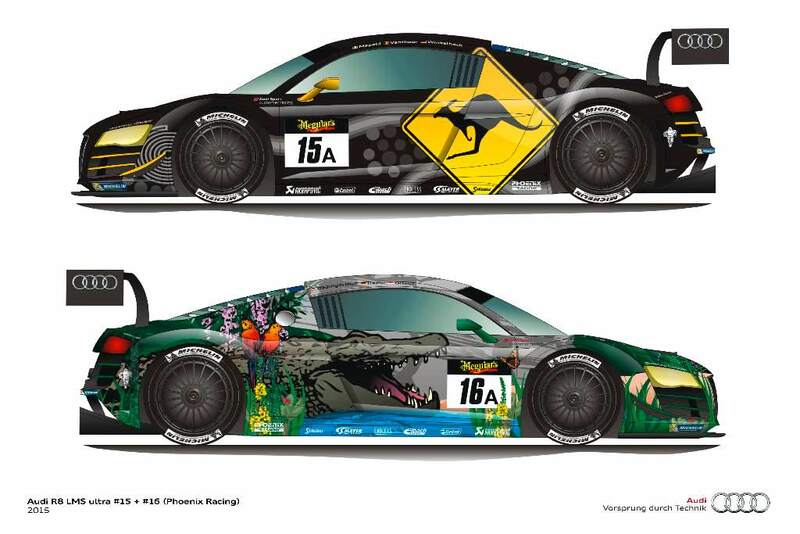 The #16 R8 LMS will be sporting a rainforest design featuring a crocodile and exotic birds as well as a spider in its web.